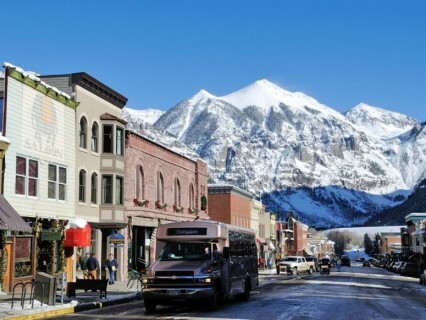 Condé Nast Traveler has named Telluride the #1 Ski area in all of US and Canada. In their annual Readers’ Choice Survey, they asked 20,000 Condé Nast Traveler skiiers to vote on the best ski areas in North America—and they came up with an impressive list of must-visit mountain towns. Telluride received a Readers’ Choice Rating of 94.1%. Find out what other towns were named on this list!